﻿﻿Named as Chinese American Pioneer in the Arts in 1989 by the Manhattan Borough President and awarded Dedication to the Arts by Chinese American Council for the Arts in 1981, Margaret Yuen has been at the forefront of promoting Chinese culture and dance in New York since 1979. Ms. Yuen initiated programs to engage youth participation in the performing arts and founded the Young Dancers of Chinatown in 1979. In 1985, she founded the professional company Red Silk Dancers. Together, they brought Chinese dance to countless communities through concerts, lecture demonstrations, school residencies and workshops. She and her company have been on the roster of ArtsConnection, City Lore, BOCES of Suffolk county, Young Audiences of New York and Young Audiences of New Jersey. Ms. Yuen also worked with the American Museum of Natural History to develop students' curriculum. In New York, Ms. Yuen trained with Rebecca Fung from the Oriental Song and Dance Troupe of China, and Peking Opera Masters Tung Han-Nga and Qi Shu Fang. 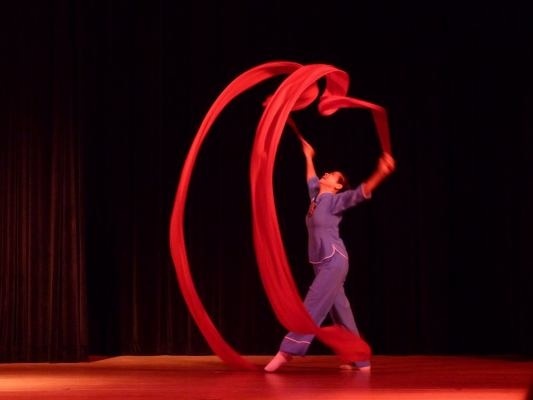 In Beijing, she studied with many masters in the field of Chinese classical dance, sword dance, martial arts swords, water sleeve techniques, and dances of the Dai people. She received a certification in Chinese folk dance from the Beijing Academy of Dance in 1994. Serving as artistic director of the Red Silk Dancers, Ms.Yuen choreographs dances depicting festive outdoor celebrations; graceful and elegant classical pieces; and contemporary works expressing the experiences of Chinese Americans.